We had a successful donation drive thanks to the generosity of our clients! 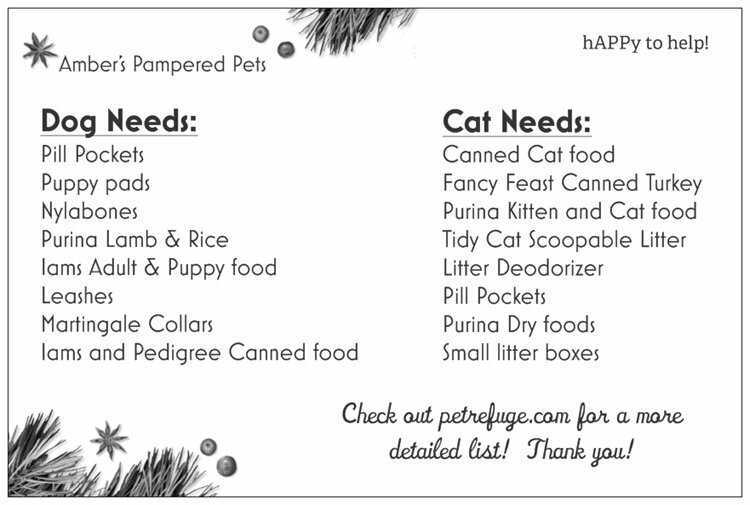 Our next donation drive will be Christmas in July for the next rescue to be selected soon. 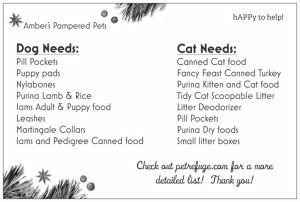 We know that Christmas time donations are high, but we want to continue to support our local rescues all throughout the year! 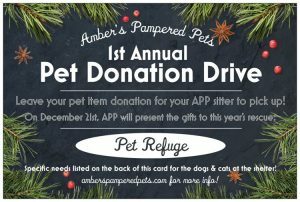 Welcome to our 3rd annual Pet Donation Drive!! APP is looking to help spread the holiday cheer! 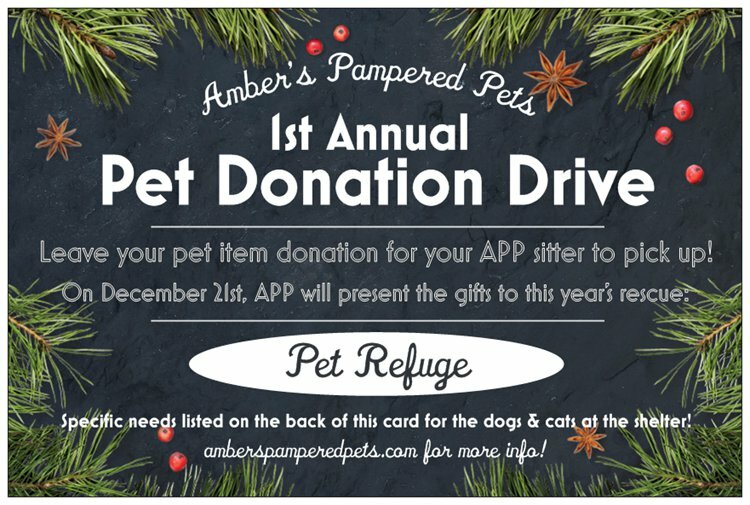 APP sitters will be collecting pet item donations at our pet visits to present to the selected pet rescue this year: Humane Society of St Joseph County!! The Humane Society helps countless pets find their forever homes! They are a huge asset to our community and we are excited to give back!! The items will be presented on January 14th 2019. Any donation allow the Humane society to better support the animals in their No-Kill Adoption Center. • Dog/Puppy Food. Pate style canned and also Dry food.